I’m not shy about saying August is my favorite month of the year. It marks my birth month (go Virgos!) AND it is September issue time! I feel like this is the best time of year for magazines. They’re chocked full of tips and things that you actually want to use and the clothes, makeup and hair are phenomenal. Seriously, this is the most wonderful time of the year to me. Which September issues are you looking forward to? i prefer vogue but it’d be nice to checkout other september issues, right? 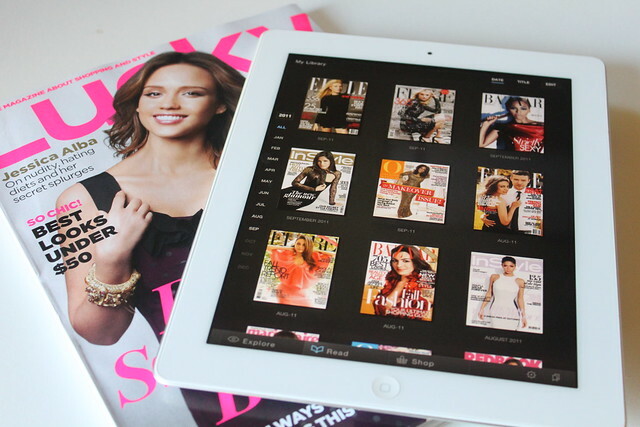 It’s sooooo many…I want ALL of them…lol….How in the world did you get InStyle on your IPAD? It’s Instyle UK! I wish the US version would be available on the iPad, hopefully soon.